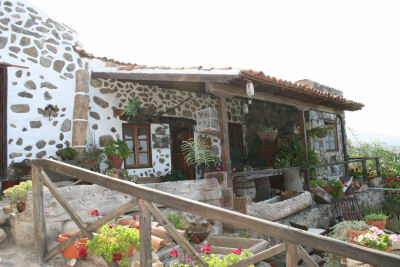 This romantic little Canarian one bedroom cottage is situated in Adeje in the South West of Tenerife. Surrounded by a landscape of grand ravines and with spectacular views to the sea and to the nearby islands of La Gomera and La Palma el Hierro. Over 100 years ago, the house was originally built as a wine cellar. Since that time the building was converted into a stable and later to house livestock and was finally converted into a beautiful country cottage. Although the cottage has a sofabed, we recommend that the accommodation is suitable for 2 or 3 adults or a family of 2 adults and 2 children under 12 years. There is just one bathroom. The cottage is 35km from Reina Sofia Airport and 95km from Los Rodeos Tenerife North Airport. 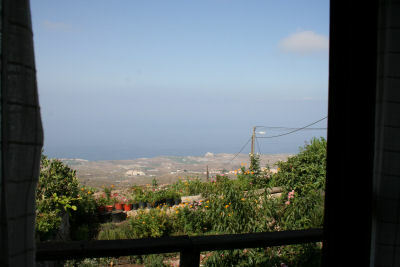 The nearest restaurants and supermarkets are 5km away and the nearest beach is 15km.